Home DEALS Giveaways SoupWire Launches with Biggest Giveaway in Vaping History! 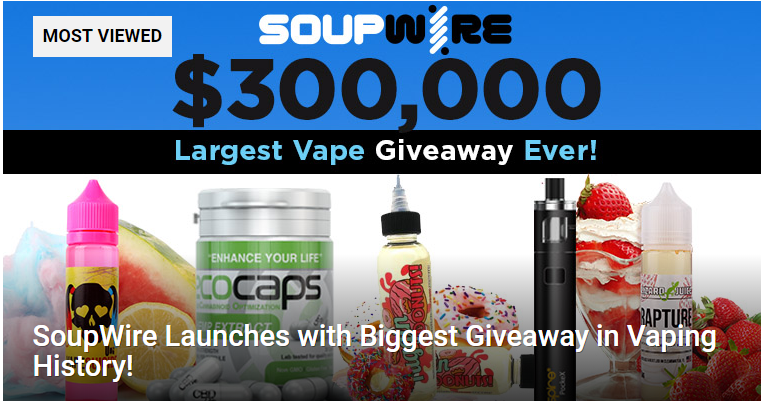 SoupWire Launches with Biggest Giveaway in Vaping History! 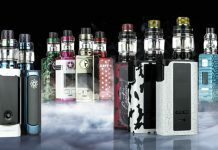 Welcome to SoupWire – a vaping and lifestyle site dedicated to helping you navigate an ever more complicated vaping landscape. Whether you’re a beginner just starting out, or a seasoned pro packing the hottest new mod, we’re here to help. And to celebrate our launch, we’re hosting the largest vaping giveaway in the history of our industry! You’ll have countless opportunities to win prizes by interacting and sharing on social media. So, what are you waiting for? Register to win today, and check SoupWire regularly for more new articles and information to help you get the most out of your vape. Could Vaping Help Decrease Your Dental Bill?